The redevelopment of Brookside Station has included many facade improvements. In 2017, the scope of construction included the removal of all roofing down to the sheathing, the repair of any damaged sheathing, the installation of typical asphalt roof shingle and the addition of gables on the fronts of each building. As well as the roofing repair, all siding and cladding were removed down to the sheathing. The sheathing was repaired and replaced where needed with a new weather resistant barrier applied. The style and effectiveness of the facade were greatly improved by the removal and replacement of the sheathing and addition of the weather resistant barrier. Pictures of the facade improvements can be found on the portfolio page. The redevelopment of Chestertown Cove was financed with tax-exempt bonds in 2016. In January of 2017, the construction activities began on site. 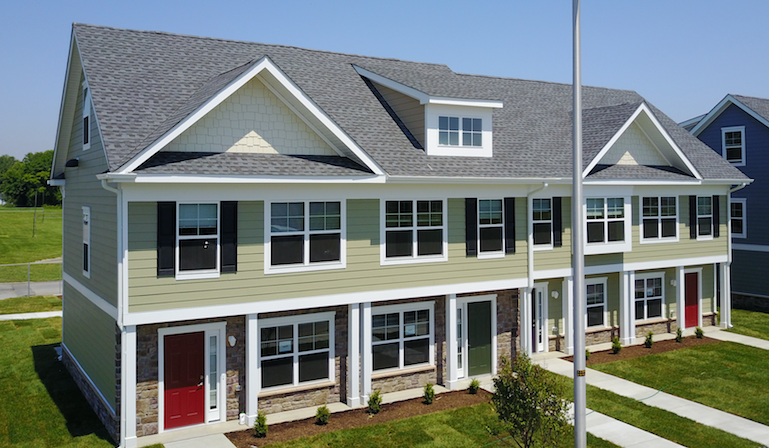 The facade improvements at Chestertown Cove include the bump out of the existing foundation and center windows on either side of each building and the addition of gables on the fronts of each building. In addition, the existing siding and roofing were stripped down to the sheathing, the sheathing was repaired as needed, and all siding and shingles were replaced. Both the aesthetic and functionality of the new facades have been greatly improved for building durability and the overall appearance of the property. Greenwood Village Apartments is in the process of going through a complete gut rehabilitation. 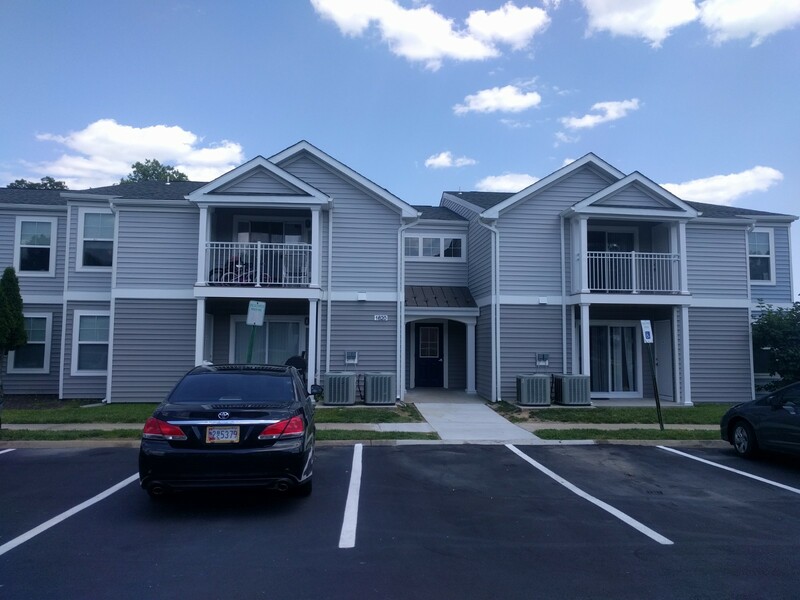 In 2016, the property was awarded 9% tax credits in the State of Maryland. 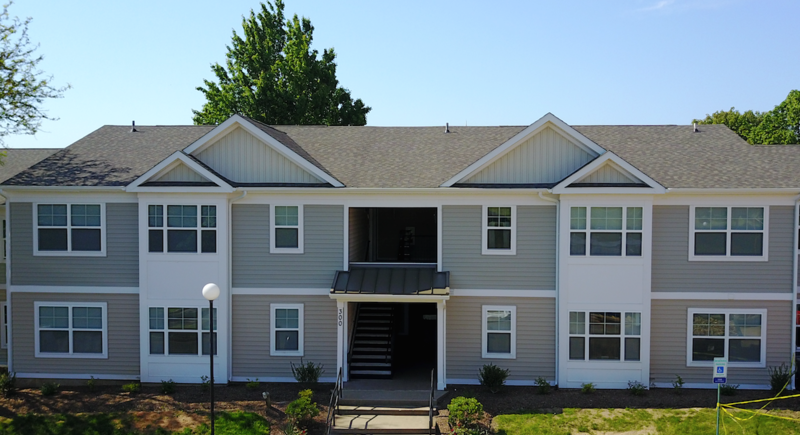 Since the start of construction the existing roofing, siding, and sheathing have all been replaced; a third floor has been added to each building in addition to gables and bumps out on each third-floor level. As you walk up to the townhouses, it is hard not to notice the improvement of the facade. The first-floor windows have been enlarged and stonework has been added along with columns to enhance the first-floor appearance. Copyright 2016. Green Street Housing, LLC.